Neighborhood mainstay Fish in the Hood on Georgia Avenue caught fire in April, and they're still working to rebuild afterwards. They've just launched a fundraiser to help with repairs and new equipment. The fire was a big one too, it took firefighters about half an hour to put it out. 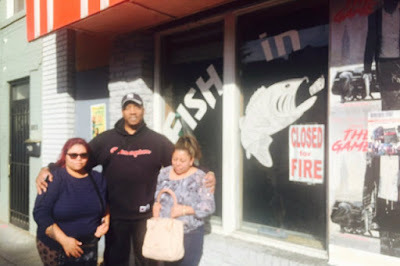 The restaurant has been open for decades and has been the subject of numerous articles as it survived as the neighborhood changed over the years. It's a tasty spot, if you haven't been give them a shot -- or a few bucks to help them get back on their feet. Their insurance covered some but not all of the damage. Here's the fundraiser, currently at about $3,600 of $10,000. El Rinconcito II back open after fire last year!